These four fonts will brighten up any teaching product! These fonts were created in my own handwriting and are great for student worksheets, parent newsletters, classroom labels and more! You may use them in any product, personal use or commercial use, just as long as you credit me with a link to my blog or store. I have included my TOUs and blog button in the download to make it easy for you! 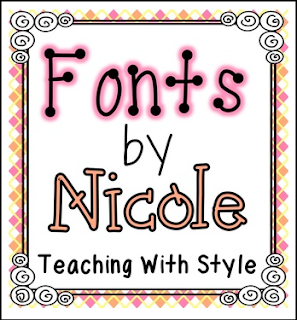 Visit my blog Teaching With Style for more ideas, lessons, freebies, and giveaways!